In this series we will be going through the different metropolitan areas to give you descriptions of the unique characteristics of each track, how each track tends to play and the different quirks. Hopefully it will not only give you a great knowledge of Australian racing tracks but also give you confidence on what to expect from each course. This week we are covering NSW metro tracks. The home of racing in NSW. Randwick is 2220m in circumference and has a testing uphill straight of 410m. It is a large course with sweeping bends that gives all runners a chance at winning. It does however seem to struggle in wet weather due to its poor drainage. This has caused some rather large bias at times. There is a distinct advantage to be on the fence or 4-5 horses off the inside rail. As for the trainers to watch, Randwick is where the Waller, Snowden and Kris Lees teams tend to shine. These three on figures for the last 12 months have performed best compared to Rosehill which is the other main metropolitan track in NSW. Being such a big course very few starting points have an advantage for inside barriers. The biggest one for mine is the 2000m where the starting point is on a chute after the winning post. Once runners have jumped they commence a 400m run around the bend and you don’t want to be covering a lot of early ground if you can avoid it. In the jockey ranks some of the more notable improvers on the Randwick circuit are Hugh Bowman who performs his best at Randwick compared to Rosehill and Jason Collett who has the best win percentage for Jockeys at the course with over 100 rides. The second of the main metropolitan courses in NSW. 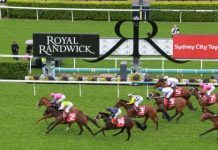 It is 2048m in circumference with a straight of 408m and unlike Randwick it is considered a specialist track as it is almost square in shape. This course plays a lot more consistently than Randwick when placed under wet conditions. The majority of starts have no real advantage to inside gates. One exception is the 1800m starting point where like Randwick it is a short run to the first turn. After that they have to make three corners in the run which makes slotting into a good position a priority. The trainers who’ve fired here in the last 12 months are Gerald Ryan, Bjorn Baker and the Waterhouse team. The Waterhouse team has an incredible 10% higher win strike rate at Rosehill compared to Randwick. The jockeys are a similar story with some marked improvements at Rosehill for Tye Angland, Tommy Berry and Kerrin McEvoy. Like Canterbury it is primarily used as a midweek venue. Being almost triangle in shape the course has very tight turns. Races up to 1400m start in a chute and the runners only have to negotiate one turn, meaning barriers hold little importance in the run. For the 1600m it is often preferable to be on a runner who goes forward as they have to make two tight turns in the run to the line. From my personal experience front runners do well here, with some horses unable to negotiate the tight turns. Some of the trainers to show a liking for this course include James Cummings, Joe Pride and Clarry Connors who all do their best work at this track. With the hoops Tye Angland, Blake Shinn and James Innes Jnr all have superior strike rates at this course. The home of night racing in NSW and predominantly used for midweek racing. It is the smallest of the NSW metro venues at just 1567 metres in circumference. I regard it as the best metro surface in NSW and it handles wet weather very well. With its short straights and a long sweeping bend into the home straight it tends to favour horses up or near the speed and not covering ground around the turn. For me I think the key starting point at Canterbury is the 1500m. With its very short run until the first turn you could be trapped 3 – 4 wide if you are unable to get in. The rail position tends to favour leaders the more it is placed out however does reach a tipping point around the 6-7m mark where swoopers tend to be advantaged. With its tight turns and short straights it is a unique course on the metro circuit and some horses tend to have a very strong record at the track. This is the most confident track I would be on if it was very wet due to its excellent surface. With the trainers the Snowden team is never far away here along with Bjorn Baker and John Thompson. When looking at the jockey stats for this course Hugh Bowman excels here having his highest of all 4 metropolitan tracks strike rates. Other notable improvers at this course are Kerrin McEvoy and Tim Clark. The best way to get a guide on how a track plays is to record how the races played with every rail position. Was there a distinct advantage to have a rails run or be off the fence? Recording these stats regularly will give you an intimate knowledge of the course and also what you should expect to see from the days racing including how a barrier draw will have its pros and cons for each rail position. As you can see all the courses play a little different and have their own quirks, seeming to favour some stables and riders more than others. The key is to use these stats in your form work to give you that little extra edge that your stable and rider know the track back to front.